The Business Management Software is a set of unique programs or an application, which is responsible for supporting business, and it also aids in automating and improving all the processes. The software helps in eliminating all the unwanted errors, completing the important business tasks, and reports activities. Most importantly, it is responsible for increasing the overall effectiveness as well as the efficiency of a particular business. The company management software is designed in a unique manner so that it can meet all the requirements that are associated with a particular business, in an effective manner. When you are choosing business management software, you have to take into consideration important factors like the size, your needs, the tasks that have to be performed, and the important processes that you want to automate in your business. Business management software helps your business to grow. 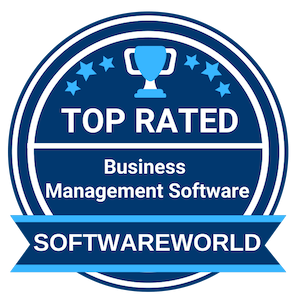 To know about the top 10 business management software, you can go through the list that has been brought to you by SoftwareWorld. What are the Best Business Management Software in 2019? 1. Zoho One – When Apps Work Together, Your Business Runs Better. About Zoho One : Zoho One gives you one suite of more than 40 integrated business and productivity applications for your entire organization. Simply turn on an app to improve a process. Then connect multiple apps so different teams can work together to delight customers, manage finances, and work productively. “Zoho One is outstanding. Honestly, there is no better value than Zoho One. It has changed the way I do business by giving me a whole suite of apps that integrate together and play well with outside apps. I completely rebuilt my entire sales process and business workflow around Zoho One, and I’m in it for the long haul.” – Brent R.
About FreshBooks : FreshBooks provides you with the service of time tracking which helps you to save time. It is an award-winning accounting and finance software and is also the first-choice cloud solution for small business owners. It also streamlines client invoicing. It gives you the ability to customize the branding of financial documents and make it look more professional by modifying the logo, colors, and designs. The software is also available in mobile apps. About Wrike : It is project management software that is perfect for teams of 20 or more. It contains scalability and security of enterprise level. It gives you the features like custom dashboards, workload view that helps you in resource management, calendars and Gantt charts product and program managers would really like to have access to. It is useful for businesses ranging from advertising, technology, and financing. “It helps me get real-time visibility into everything my team is working on. I think it’s amazing to be able to have a tool that helps me collaborate, and to be surrounded by people that have the same vision and really want to get everything done, and done beautifully.” – Juan A. About Housecall Pro : It is a software tool that helps service professionals to conduct their entire business via smartphone and web portals. It provides more than 30 vertical offerings for professionals who work from home. It is also applicable in all corporate environments. You can have your data available at any time irrespective of any working hours. It will enhance your business in a number of ways like dispatching, scheduling, invoicing and accepting credit cards. 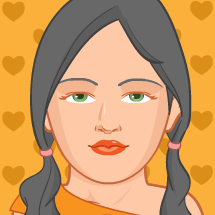 “We love how easy it is to populate customer invoices. And, our customers love that they receive a text to confirm their appointment and one to let them know when we are on our way to their home.” – Leah N.
About Accelo : Accelo streamlines and automates your work into a single system that is integrated. It is a technological platform that combines key tasks of tracking, collaborating and project planning in one platform. It makes it easy for you to track the progress, allocate work, monitor budgets and profitability in quick time. It supports agile project management technologies as well as the traditional ones. “Love the ability to see all tasks and drag and drop through deadlines. Love being able to track a project from proposal stage through quoting through project management and billing. Unique and totally awesome end to end product. Oh and awesome email integration.” – Adam S.
About Workfront : Workfront is renowned project management software. It was previously known as AtTask. It provides a company with the unified work environment. It offers businesses scalable, effective and comprehensive solution for project management and more. You can supervise your business operations easily and identify the trends and issues and also provide help to each and every member of your team. It uses the popular grassroots approach in managing work. “It helps us save time when it comes to resource allocation and time management. The reporting features helps upper-management better understand what we are doing and how much time it takes to do it. I love how they are constantly pushing updates that help improve the tool based on user feedback.” – Jonathan H.
About TimeCamp : Timecamp helps to create online software for time tracking. You can automatically measure the time spent on your computer by using the software. It helps project managers to monitor the status of projects, track billable work hours, collaborating, creating invoices and keeping track of attendance. It also helps in creating sub-tasks in a project and delegates those tasks to all of the people belonging to the team. “The benefits are many, both personally and at a business level, since as for me personally it helps me to carry out an accurate calculation of my time and in which I invest it, helping me to better organize my productive and business hours is very important that allows you to precisely calculate the time per task.” – Jesus C.
About Odoo : Odoo is a repository of open source business apps that assist companies in expanding their business. It encapsulates project management and sales in a single tool and also provides a variety of POS, MRP and e-commerce functions. All these features help businesses to manage different types of operations. It replaces the multiple operations that are used for managing the sales process. It delivers streamlined and easy-to-manage interfaces. About TrackTik : Tracktik helps you with security operations. It analyzes, views and controls all the security operations in a centralized place. It provides back office solutions and also provides actionable insight through integrated field operation. It is mobile as well as web-based software that helps in connecting field personnel to management with the help of powerful business intelligence modules, automated financial management solutions, and unsurpassed guard management tools. About WorkStraight : WorkStraight is a Computerized Maintenance Management Software (CMMS). It helps you to securely receive, create and track requests of work from either your team or customers. You can allocate your work to multiple users, receive notifications and download report data using this software. It also allows users to process cash and payments via credit card, distribute digital receipts and create coupons for customers. “It’s great that I can clearly move projects from other software to WorkStraight. I love being able to view everything in one place.” – Julia M.
Switching to business management software not only saves time and resources but also helps increase the business or company’s productivity by eliminating the risk of human errors. The simple software helps complete the daily tedious jobs like attendance tracking, examining employee performance, monitoring productivity, and many more, all within a single application. » What is Business Management Software? » What are the benefits of Business Management Software? » How does Business Management Software work? » How to choose the best Business Management Software? » How Much Does Business Management Software Cost? » What are the top Business Management Software in 2019? As the name suggests, business management software is the software or part of a program a business or a company runs to manage their daily activities with utmost efficiency. The software helps in increasing productivity while simultaneously ensuring the systematic use of financial and human resources in the company. Similarly, with the advancement of technologies, one can find a huge collection of business management software available in the market, to choose from. This software application has been termed as the best software for small business, all thanks to their accuracy and dynamic qualities which not only eliminates the chance of errors but also provides a way to measure regular productivity of the business. Hence a lot of different variants of the business management software can be found. While some of them are customized to allow users to view/edit/upload/share data and check for instant results, others are designed to operate in a specific time or during events without the need of any monitoring. We will discuss the myriad options available in business management software within a short time in this article so that you can get an overall idea on the specific business software your business needs to reach the heights. But first, let’s discuss some other important things. Needless to say, in order to run a fully integrated business, you have to integrate your users, suppliers and sale channels well. For that, you may have to depend on a number of software applications. So, there will be multiple budgets to mind. Also, it takes time and energy of another internal department to overlook the smooth running and coordination of these applications among themselves. In this regard, this application is going to save you from that big headache forever. A single application can manage everything starting from accounting, finance management, CRM, to bank and cash flow and stock management. Thus, it is definitely worth investing in money. The software helps in bringing the business under a controllable technology platform that process efficiency across your organization. It integrates applications of the diverse niche into a single form. Usually, the lack of the same compels employees to enter data into multiple applications thereby increasing the chance of human error to surface. However, as the software provides an integrated platform, getting access to information becomes easy, and the automatic hey processes enable overall growth. When your business is dependent upon different software applications, getting an overall picture of ongoing work on a real-time basis becomes difficult. However, when the business is dependent on a single application that unites information collected through its different data streams such as different data streams i.e. CRM, Nominal Ledger, and Warehouse, taking quick decisions becomes easy. Even small business management software creates an automated workflow managing customer between sales and distribution department becomes a straightforward affair. Through a number of user-friendly tools, it also becomes easy to customize solutions for order and stocks. Therefore, better customer management than before is achieved. Business Management software alone saves you from spending time and money on procuring, installing and maintaining a number of software applications. In fact, the same money and time can be spent on improvising other business activities. The Business management software includes an automated data acquisition process which takes valuable data and monitors it using sophisticated technology. It helps in enhancing your system by facilitating easy management opportunity. It enables you to share the information with the associated parties and helps to get their approval instantly which usually takes more time when performed manually. Plus, there also is a fair chance of human error to occur during the manual process which clearly gets out of the picture with the software into the action. The software is interlinked with the organization through secure and stringent networking technology in order to cloud-perform which also makes it highly sought-after while keeping data security and downtime backup in mind. It is further connected with some major ERP platforms like Oracle, SAP and Legacy systems. The business software allows you to view crucial reports and trends through online on the dashboard. It puts collected information and data into a comparable analysis to enable users for taking quick decisions. You will find ample of business management software available online. While some are free, some also come with exclusive features with a monthly or yearly premium price. If you are a small business comprising a small workforce, then your work might be managed with free small business software. However, each company has their specific needs for which they might need particular features. Even though you opt for free software, make sure it includes all the elements which are prerequisite for smooth business management. You can’t compromise your business productivity just for a few dollars. Just because your workforce is small, that doesn’t make your burden any smaller. As a small business, you might have to work twice as hard as a large scale business. Due to workforce constraints, many employees of a small organization handle more projects. In such a situation, you should invest in such software, which allows you to carry out heavy tasks efficiently without compromising with productivity. You should plan your whole budget before investing in any company management software. There are various numbers of premium software which offers a myriad of features with multiple price structures. Before shelling out hard-earned money, make sure you have the right plan to get the most of the software. The CRM feature of Business Management Software enables you to engage with your customers more efficiently. You can reach your customers through email, live chat, social media and in person. It helps you understand your customers’ behaviour by tracking their visitation details and emails, which provides you with sufficient data and opportunities to engage. This feature also lets you automatically carry out repetitive tasks without allowing your sales team spending valuable time on data entry. This feature works great when you have a diverse sales team and a large pool of incoming data. The CRM requirement for each organization is different. So a customizable CRM interface let you handle a wide range of business processes by creating exclusive custom modules. Custom layouts including various other changes in your interface. The document management feature enables you to store, organize, share and communicate all your crucial documents with your team. It smoothens your workflow and facilitates an uninterrupted collaboration with your team. Moreover, it eases up the approval process way faster than the traditional method. The Document Management option in a company management software contains a document library through which you can create multi-level folders and manage your critical documents with maximum security. It let you upload bulk size files, merges multiple files in one single document, and allow you to enter meta information in the records. With secure file routing process, it accelerates the approval process and enables you to access all data on a dashboard at a real-time basis. It is a toolbox to manage your workforce effectively. It let you securely store your employees’ data in one place and allows you to execute all your HR-related activities from a central location. This feature makes it easy for you to search an employee, access organization trees, analyses attrition information’s with just one click. Some client management software comes with interactive features like allowing employees to update their skill sets, log times, personal data, etc by themselves. HR Managers can manage all associated functions like leave management, approvals and time tracking of employees through the software. Oversee your employees’ absence records from one place. The Absence Management feature let you track your employees’ requests for holidays, sickness along with providing a brief idea about all kind of absence. With this feature, you can analyze the absence trends, and find a promising solution to address the issue. The app will let you measure the financial loss incurred with one absence of your employee. It enables you to understand the cause and effect relationship by taking into consideration all the leaves by your employees. You can also easily calculate the income of your employees complying with the leave allowances and annual leave quotas. You can custom create a holiday planner and manage the leave requests. The app features options like approve or reject a leave request by one click. The time helps a team of an agency to perform their best by using the unique features it offers. The time tracking feature helps the managers to monitor the efficiency and project handling skills of their teams. The feature takes complex information and converts them into informative reports, helping the team to minimize their time wastage and provides more time to develop productive strategies. The tool enables the managers to identify weak zones of a project. It also allows them to track the projects which are responsible for slowing down the team. You can utilize the Gantt charts, file sharing, chat and resource allocation features of the app and ensure the smooth running of an active project. Using the accounting feature, you can set budgetary limits for your team and track the expenses of your team without going through any complicated process. The Email Marketing feature in a small business management software is a boon for your company. It comprises a series of attractive templates, quick list management and easy editing tools to jump-start your email marketing campaigns. You can monitor the performance of your email campaigns by accessing the detail insights. The tool also lets you share your reports with others with a simple sharing option. You can add your subscribers and actively sync the data with your email campaign accounts. The approval management feature allows receiving email addresses of interested clients only, eliminating any chance of spam and inferior conversion rate. You can create exclusive emails for niche customers, making them feel like your email is directed for them, which escalates your chances of lead conversion. Although the market is full of various options, the pricing of specific business management software depends upon the facilities and tools provided in the client management software. Various businesses require cloud management while many may choose business software for normal day-to-day businesses. The pricing of the client management software also depends upon the type of the plan chosen which can vary from months to years. The pricing of a Business Management Software for a small-to-medium sized business can start from as low as $50/ month to $500/month or can go as high as up to $75,000/year. The pricing of small business software is always comparatively lesser than that of the client management software of larger businesses. Moreover, chances are that the pricing may also increase during peak seasons or with higher customization requirements, also. One can also check out individual pricing details of this business management software by comparing their prices according to the subscription plan by visiting the official websites also. While all these facilities may seem pretty luring to an individual’s eyes, proper care must be taken while choosing business management software. As any mistake can lead to the exposure of company-specific confidential information to malicious hackers which can have a devastating effect on one’s business, a detailed analysis must be made before zeroing on any particular software.